It seemed like winter would never end but the snow finally melted and we started our spring cleanup on April 27th. We got the leaves cleaned up rickety split and the following week the grass was green and the first flowers of spring were there to greet us. Daffodils and primroses are reliably first. We had only just started and took a week off. Remember what we say about all work and no play? 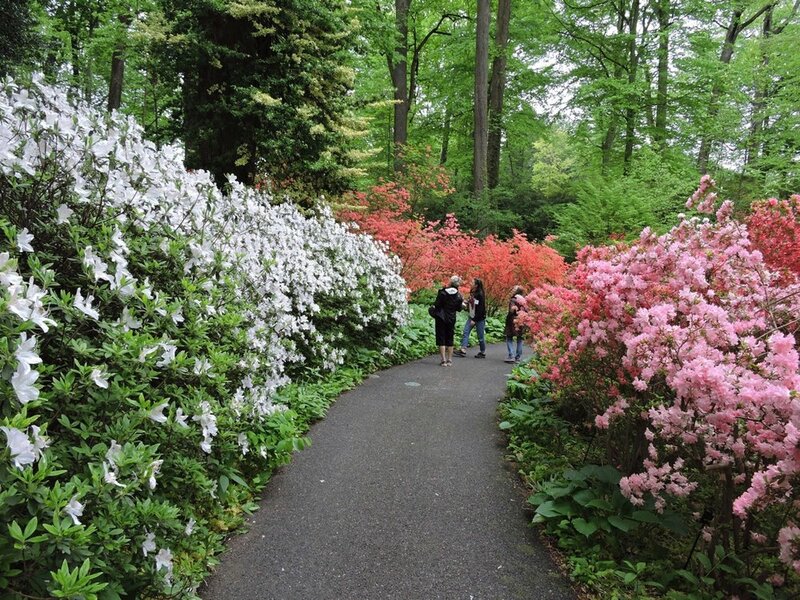 Four of us joined a Master Gardener group from the Port Hope area for a bus trip of the Brandywine area of Pennsylvania and Delaware. What an amazing three jam packed days of visiting world class gardens! 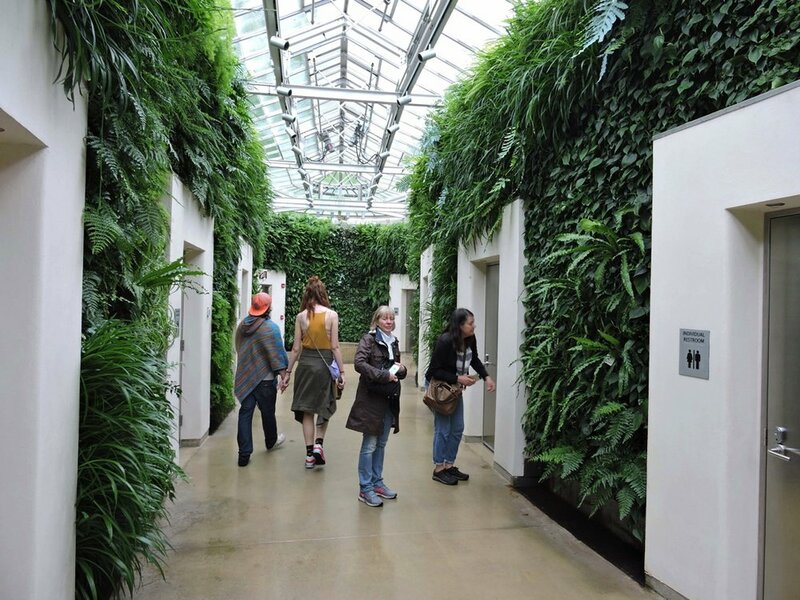 and the most amazing "green" public washrooms at Longwood Gardens. Now we're back home getting geared up for a very busy season. We're making plans for our Garden Days event in June and hope to start planting our Wildlife Habitat Demonstration Garden in the next couple of weeks. Tomorrow we'll be helping Town Staff get the pond cleaned out and up and running . 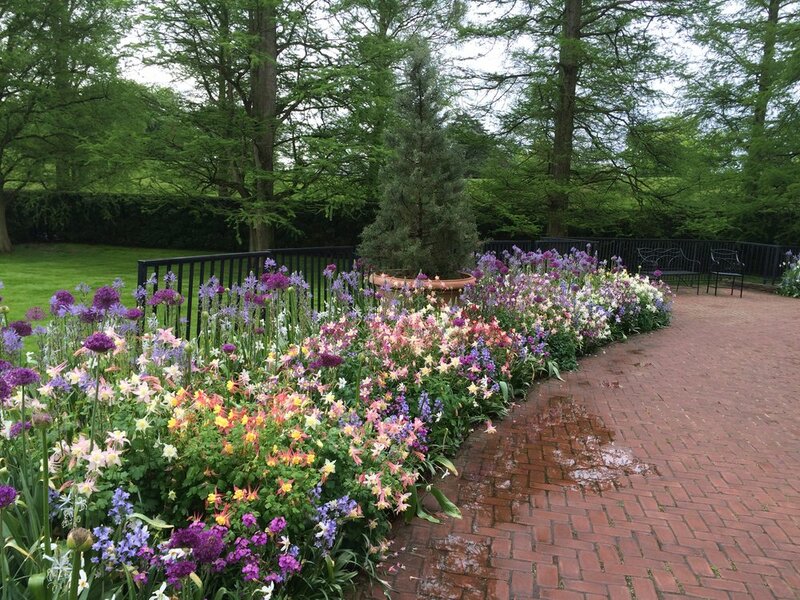 We won't have flower borders like Longwood's any time soon, but we can always dream!